Tonight in New Delhi we announce that we are partnering with the UK India Business Council to establish TechHub in Bangalore. TechHub is a community and workspace for technology entrepreneurs with 1000's of members, building the most exciting startups in Europe. We have physical community spaces in London, Manchester, Bucharest, Swansea and Riga and have members from over 50 countries. The Bangalore site will be part of a wider scheme in partnership with other British firms such as Rolls Royce, ADS, Bangalore Cambridge Innovation Network, BAe and PA Consulting with the aim of forging stronger links between the UK and India. Full details of the site are still under wraps with more information being released early next year. Last year to celebrate Virgin's new routes between India and London, TechHub CEO Elizabeth Varley along with Richard Branson and a small number of British startups visited New Delhi and Bangalore promoting the strong business tied between the two nations. Elizabeth spoke to several publications including the Times of India about the exciting prospects of the Indian startup community. Even without a physical site present TechHub members are already doing business in Bangalore such as Subodh Deshpande who founded Manchester-based Base Clarity a business intelligence tool which helps organisations optimise their Oracle databases. Relations between the countries are strong, the UK is the this largest inward investor in India with a total FDI inflow of $17.6 Billion, in 2012 bilateral trade was worth �15.4 Billion. Underpinned by a historically strong IT industry, Bangalore's entrepreneur community is rapidly growing. Last year it was ranked the 19th largest startup cluster in the world by the Startup Genome Project. In comparison this year the MIT Review ranked Bangalore the 8th best place in the world to build a startup. The city is already home to several familiar brands. Startup Weekend has been running for several years, with the latest event featuring Silicon Valley legends such as 500 Startups Dave McClure. TechCrunch will be holding its first meetup in November, Microsoft launched its Azure accelerator last year. US venture capital firms Khosla Ventures, Bessemer Venture Partners both have offices on the ground. Over the past few years there have been several notable exits from Bangalore companies include SlideShare, acquired by Linkedin for an estimated $119m in addition to exciting local companies such as Zipdial. Not only has the city proved a hot spot for local talent but it is also a great opportunity for western companies, Google Ventures-backed Uber recently announced it was launching its first service in India in Bangalore. This in addition to an already strong organic community including initiatives such as Tech Meetups Bangalore which already runs hundreds of events. There are a few challenges that organisations such as TechHub hope to help with in India. Like most places outside of Silicon Valley experienced product managers are still difficult to find, and on the whole, adoption of new programming languages has been slow, with many opting to remain using PHP and Java over Ruby and Python. Despite this, in a country that�s home to more than a billion people, with a strong IT pedigree and a wealth of technical talent, there is no doubt that Bangalore will emerge onto the world stage as a leader in tech. TechHub Bangalore will be opening summer next year, for more updates: subscribe now on the Bangalore TechHub site. 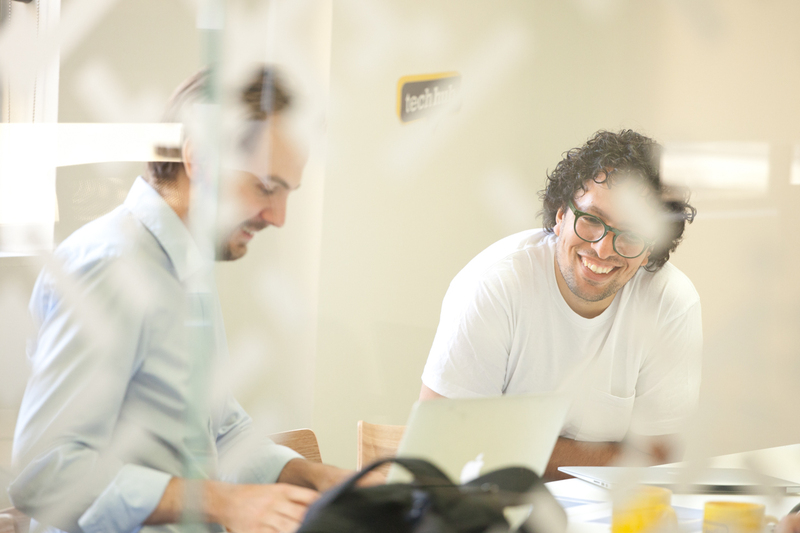 Interested in partnering with TechHub? Get in touch with our Global Projects Director Andrew Tibbitts. For more information on Bangalore and the wider Indian tech community, check out Silicon India. The full press release from the UKIBC can be found here.